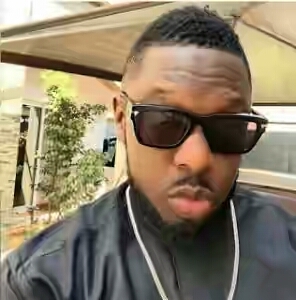 Veteran Nigerian musician, Timaya has revealed that he onced lived with an “older” woman who used him “like a s*x toy”. Timaya said the woman provided him with his needs and in exchange, he serviced her sexually. According to the singer, he met the woman one of the times he ran away from home after rebelling against his parents. Timaya revealed this in an interview with Punch. He said he serviced the woman whenever she required s*x in exchange for “food and a roof over my head”. “I learnt that to succeed in life, I had to stay passionate about my dreams, never settle for less and keep working hard every day. Most importantly, I learnt to believe that God makes everything possible in good time. I have been through a lot of things in life, and if I begin to share my story, you will be shocked. “I was born into a fairly comfortable family but I was a rebel and I often ran away from home. I once lived in Port Harcourt with a woman who was older than me and she used me like I was a s*x toy. I had to service her whenever she had the urge in exchange for food and a roof over my head. However, I have always dreamed big. Despite my travails, I never let go of my aspirations while believing that one day, I would make it big.” He told Punch.